TEHRAN: According to data released by the Alphaliner recently, the Islamic Republic of Iran Shipping Lines (IRISL Group) has improved its ranking from previous 21 to 19 among top 100 Container / Liner operators in the World. 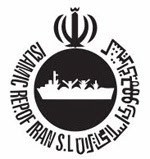 The maritime fleet of the Islamic Republic of Iran Shipping Lines (IRISL Group) has ranked 19 now with 46 containerships with the capacity of 96,383 TEU (cargo capacity). Currently, there are four other cargo ships with a capacity of 58,000 TEU on the list of orders of the IRISL Group and when they are delivered the number of Iranian containerships will increase to 50. According to the Alphaliner’s top 100 list of container/liner operators, the top three operators include Danish APM-Maersk at the top with the capacity of 4,150,731 TEU, followed by Mediterranean Shg Co and CMA CGM Group.